The announcement was made (after sitting MP SS Ahluwalia opted out of the race) in presence of senior party leaders, including Kailash Vijayvargiya, GNLF and GJM leaders in New Delhi. Bista has been attached to RSS since 1996 in Manipur. GNLF and GJM suggested Bista's name and it was accepted by the BJP leadership, official said. As per his profile report sent by the GJM, Bista’s present address is Khaprail under Matighara police station but his permanent address is in Manipur. “Raju Singh Bista will be BJP’s candidate from Darjeeling. We are happy to announce that GJM (Bimal Gurung faction) and GNLF will support BJP in the hills,”a statement issued by the BJP reads. 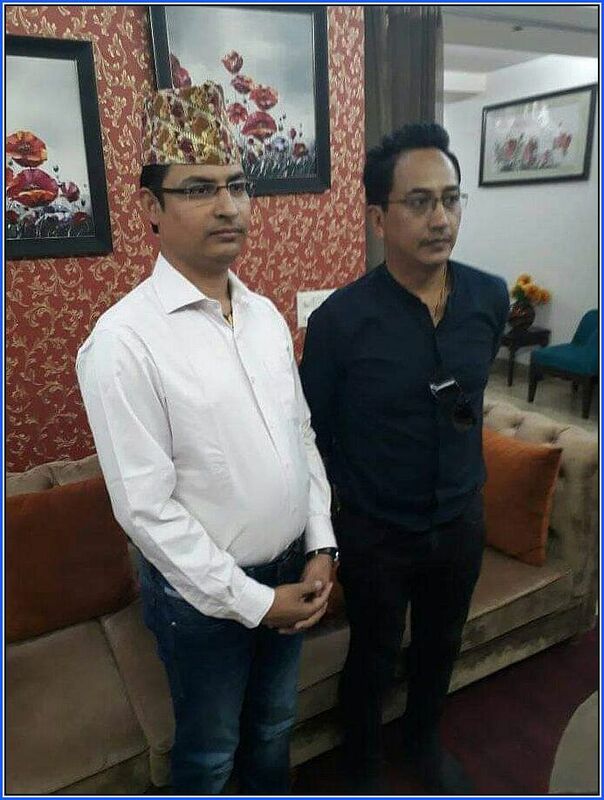 Earlier, the unexpected alliance between GNLF and Bimal Gurung faction of GJM in the hills had forced the BJP to hold its declaration of Lok Sabha candidate for Darjeeling seat. BJP has decided not field SS Ahluwalia this time from Darjeeling due to anger among the local people for his long absence from the hills. Presently, BJP has two Lok Sabha seats from Bengal including Asansol and Darjeeling and they will not like to lose either of the seats – especially when the party president Amit Shah has set the target at 23 (seats) in Bengal. In 2017, GNLF has lodged a missing complaint against SS Ahluwalia for not visiting his constituency despite violent unrest for more than a month. Angry over Ahluwalia’s absence, GNLF supporters has put up several missing posters of Ahluwalia across Darjeeling and other parts of Hills. Ahluwalia - who won from Darjeeling in 2014 – faced severe criticism from the local people for his absence from the Hills throughout the agitation. Gorkhaland political parties, filed a missing person report at the Kalimpong police station against former Darjeeling MP Jaswant Singh. Then, the Gorkhaland Task Force (GTF) had alleged that the BJP leader had been missing from Darjeeling at a time when the entire region was agitating for a separate state. GJM is associated with the BJP since 2009, but this time after the alliance with GNLF – the leadership in the hills are against the candidature of Ahluwalia and adamant over their demand for Gorkhaland. “Our party president Mann Ghisingh categorically send message across our leadership that GNLF will not support the sitting BJP MP this time. Unfortunately, he failed to keep the connect with the local people and also his ‘son-of-the-soil’ remark has angered the people living in the hills,” he added. Recently, protests erupted in Darjeeling after Ahluwalia commented that those demanding a son-of-the-soil candidate for his seat "were born in Nepal", following which GJM and GNLF supporters burnt effigies of Ahluwalia and demanded an apology from him.